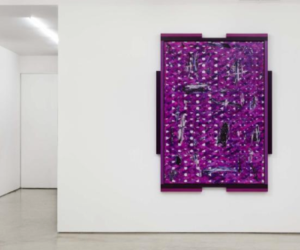 Please join 11R for a conversation between artists Douglas Melini and Brian Alfred with curator Daniel S. Palmer, on the occasion of Melini's current exhibition at the gallery, You Have To Peer Into The Sky To See The Stars. Douglas Melini (born 1972) was educated at CalArts, LA, and the University of Maryland, College Park; he currently lives and works in New York. Previous solo exhibitions include 11R, NY (2014); Feature Inc., NY (2012); The Suburban, Oak Park, IL (2011); Minus Space, Brooklyn (2009); a White Room at White Columns, NY (2003); and Richard Heller Gallery, Santa Monica (1998), among others. His work has been reviewed and featured in The New York Times, The New Criterion, Time Out, and New York Magazine. Brian Alfred is an artist, musician, and curator based out of Brooklyn, and has shown his work internationally for the past seventeen years. Alfred is the recipient of an American Academy of Arts and Letters Purchase Award, the New York Foundation of the Arts Inspiration Award, and the Pollock-Krasner Foundation Grant. He is an alumnus of Yale, Skowhegan, and Penn State. His work is in the collections of institutions such as the Solomon R. Guggenheim Museum, the Whitney Museum of American Art, and the San Francisco Museum of Modern Art, among others. Alfred is also the creator and host of the Sound & Vision podcast, which features conversations with contemporary artists and musicians. Daniel S. Palmer is currently an Associate Curator at the Public Art Fund. Previously, as the Leon Levy Assistant Curator at the Jewish Museum, New York, Palmer co-curated exhibitions such as Unorthodox and Repetition and Difference, curated Masterpieces & Curiosities: Diane Arbus's Jewish Giant, and oversaw the Masterpieces & Curiosities series of intimate exhibitions curated around a single work from the museum's permanent collection. 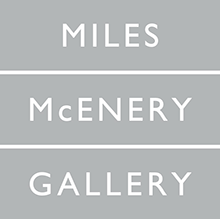 Independently, Palmer has curated exhibitions including Lucas Samaras Pastels, at Craig F. Starr Gallery, New York (2013), and co-curated Decenter: An Exhibition on the Centenary of the 1913 Armory Show, with Andrianna Campbell at Henry Street Settlement's Abrons Arts Center (2013), among others.